Study marine creatures using this ocean theme lapbook based on A House for Hermit Crab by Eric Carle. This project is based on the story, A House for a Hermit Crab, by Eric Carle. Before you begin the project, you will need to obtain a copy of the story book, either from the library or buy your own. Eric Carle's magnificent collage illustrations in A House for a Hermit Crab, take you and your children on a spectacular underwater tour, where brightly coloured sea creatures will delight you. This story is both entertaining and wise. 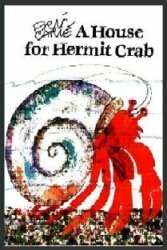 Based on the true habits of certain hermit crabs, it also contains an encouraging message about the challenges of growing up, embracing new circumstances and the importance of being a good friend. Children who encounter new situations will take heart as they see, from this story, that starting over can be an exciting adventure, rather than an experience to fear. "Poor Hermit Crab! He's outgrown his snug little shell, so he finds himself a larger one - and many new friends to decorate and protect his new house. But what will happened when he outgrows this shell, and has to say good-bye to all the sea creatures who have made Hermit Crab's house a home? Children facing change in their own lives will relate to Hermit Crab's story - and learn a lot about the fascinating world of marine life along the way." The completed ocean theme lapbook Exploring the Ocean with a Hermit Crab. 1. 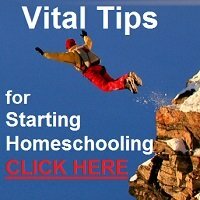 Your children can work on and review key information about the topic being studied. 2. 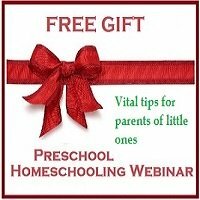 It will develop auditory and comprehension skills as well as the ability to find answers. 3. The hands-on activities are fun and develop fine motor skills. 4. Children love to learn by doing! 5. The creative possibilities are endless. Children can be creative and add their unique touch to their projects. 6. File folder projects are ideal for multi-level learning. The whole family can help! 7. Project packs can stand alone, be included in unit studies, or supplement topics of study. 8. A project gives the children a reason for writing and drawing. 9. File folder projects are compact and easy to store. 10. A file folder project can become part of a child's portfolio of work and are a great tool for reviewing completed work. 11. A file folder project saves a mother/teacher time and effort as the information required is provided for your convenience! 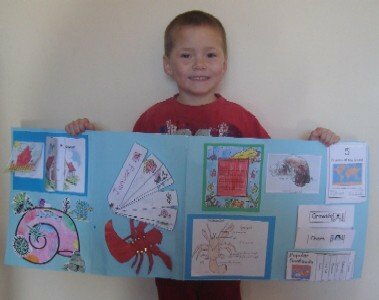 Buy Exploring the Ocean with a Hermit Crab now and enjoy all the benefits of a file folder project. For USD $5.00 you will be able to download Exploring the Ocean with a Hermit Crab instantly. Within minutes you will be able to start using the printable ocean theme lapbook with your children. Buy now using the Clickbank Secure Servers. P.S. Start a stress-free hands-on ocean adventure with your students now by investing in this printable ocean theme lapbook pack now. P.P.S. Remember, the risk is all Shirley's. You have nothing to lose as you have 8 weeks in which to request a 100% refund if Exploring the Ocean with a Hermit Crab is not everything you expect it to be! Contact Shirley if you'd like to earn commission by promoting this product on your website or blog. A variety of easy preschool crafts to add to your study of the sea and its creatures, including a sparkly sea anemone, a sea urchin model, a handprint fish and sand collage and a stunning ocean theme mural.